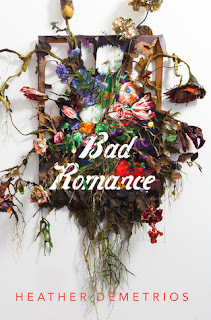 It seems like only yesterday that I was telling you all about the books that I wanted to read this Spring. Now, Summer has arrived! Bright nights, sandy toes and tan-lines are surely to become a fixture of this Season (remember your SPF, please! ), but whisking yourself away doesn't need to be by plane, train or car. Something on your bookshelf - or on my Summer TBR - might just transport you to another world! 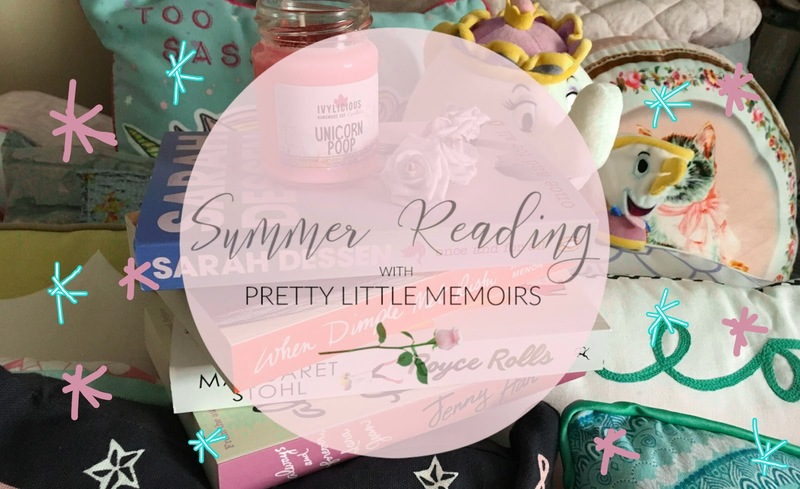 Don't forget to tell me what you're reading this Summer. The best way to get involved is to comment here on this post or #ThisSummerPLM on twitter (just click and it will start your tweet!) with your reads! I always respond to everyone. 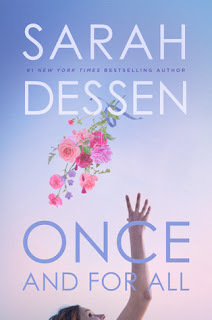 I am head over heels for Sarah Dessen books! I mean, she is the staple YA Summer read author, right? Her books are just made for those warm nights staring out at the ocean (or at least, pretending you are). I've had my eyes on Once And For All for a little while now and I finally saw it at Waterstones in Bristol, England when I was there for my sisters birthday (shout-out to my sister, 23 Review Street!). 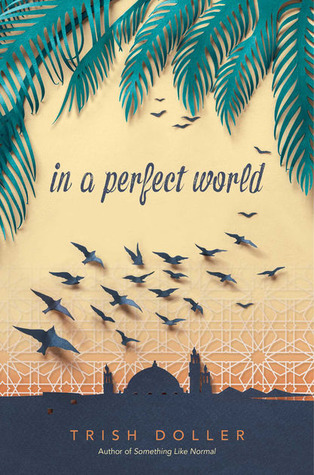 This has to be one of the most subtle, yet achingly beautiful covers and blurbs I've read. C'mon, if you haven't got this yet, why?? It's set in the world of wedding planning (why am I always reminded of Bride Wars?) 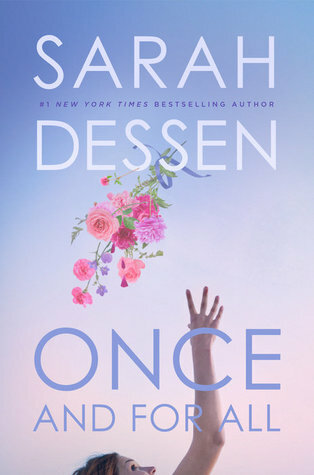 and for Sarah's thirteenth novel, she delves into happy, messy and perfect. This is the most talked about YA of the moment. 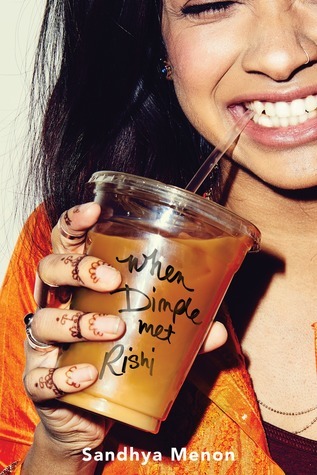 All I've seen on my Goodreads and Instagram feeds is rave reviews for the amazing When Dimple Met Rishi. With that cover (how goofy/cute/intriguing/unique does it look?!) I again spotted it in my favourite bookstore. I don't know why I hadn't got this before, because it was on my TBR, but now that I have it, I can't wait to delve into those pages! It's a Bollywood rom-com! Who wouldn't want to read that?! 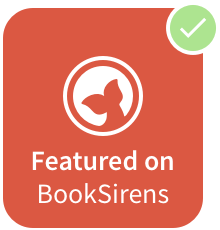 I have always been a fan of Margaret Stohl since the Beautiful Creatures days, so seeing her novels that aren't shared with Kami is always a surprise. 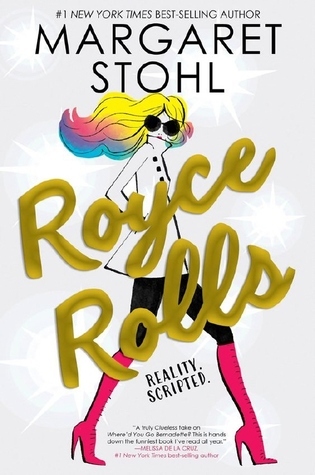 I kept seeing the cover places and didn't connect the dots that she had wrote Royce Rolls - basically our YA version of the Kardashians meets Reality TV Gold. The cover itself is a work of art (the colours, the ROYCE ROLLS all in gold) and the description is magnetic: a laugh-out-loud LA noir packed with a perfect punch of things everyone loves in YA. This one is going straight onto my nightstand! Have you ever just fallen in love with a series, a character or just the way that the author writes these things that speak to your heart? This is how I feel about Jenny Han's Lara Jean series. This is a story about a girl, her heart and the journey of her life. 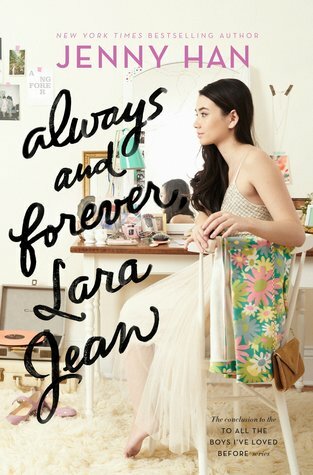 Always and Forever, Lara Jean is the third instalment in the series and I can't say anymore right now because I'm currently halfway through this and don't want to risk spoilers by digging too deep into what happens! What I can say is that Lara Jean is loving senior year, but nothing perfect can stay...a change is coming. I don't own these two yet, but I'm hoping to get my hands on these beauties this Summer! I've always loved a feel-good book, or one with a bigger meaning and sentiment. I've got my eyes on these two in particular! Have you read any of the books I want to read this Summer?